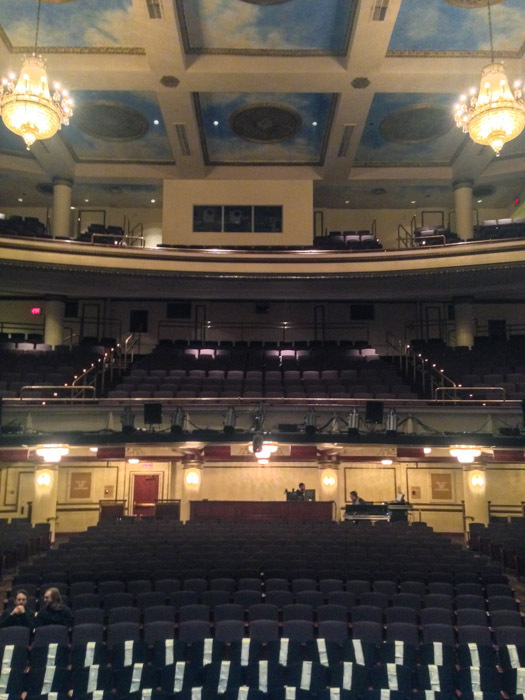 The DuPont Theater in Wilmington is a beautiful albeit small venue. We just managed to squeeze our giant show in there but I am glad we did. Looking out from the stage into the house it put me in mind of a London playhouse. The atmosphere was so good, we were able to get so close to the audience and the energy we got from them was great. It was a tough one for our crew though but they did a great job. 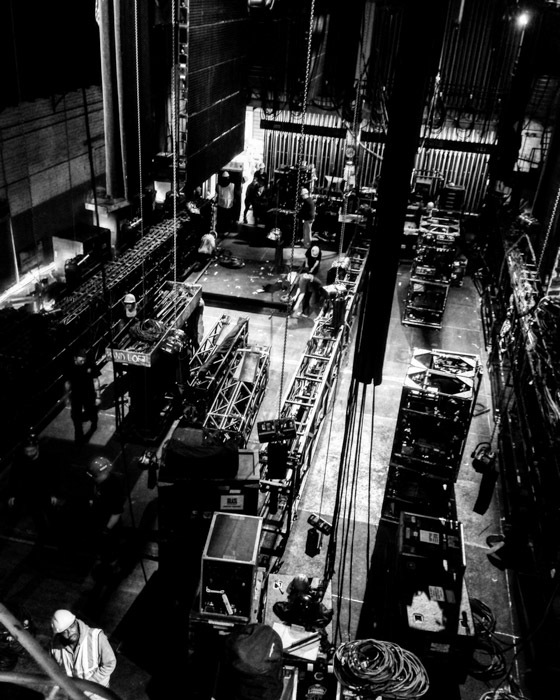 There were no elevators nor was there a loading dock large enough to accommodate us so things had to be hoisted in and out of a hole in the stage to the basement where we had our dressing room as we could not get our road boxes up stairs! Despite all the challenges the shows went really well and the theatre made me feel a little homesick for the West End in London!